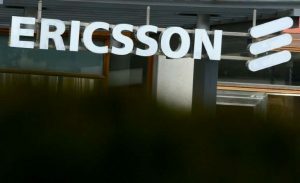 NEW DELHI: Swedish telecoms giant Ericsson has announced changes to the group structure and its Executive Team. A Business Area Emerging Business is created to increase focus on innovation and new business development, with initial focus on IoT and within distributed cloud solutions. Through a structured approach to both technology and business innovation, the unit will over time identify, nurture and scale new businesses to support our customers to capture the potential of 5G and IoT. Effective April 1, 2018, Åsa Tamsons is appointed Senior Vice President and head of Business Area Emerging Business and member of Ericsson’s Executive Team. Åsa Tamsons joins Ericsson from McKinsey & Company where she has held the position as partner in McKinsey’s Stockholm office. Her primary focus has been growth strategy, marketing and sales, high tech, and telecommunications, across Europe, the U.S., and Latin America. She has also been based in McKinsey’s San Francisco and Sao Paulo offices. The company is also simplifying its group function structure, from currently six functions to four. The majority of current Group Function Technology & Emerging Business, including hosted group responsibilities such as the CTO office and Ericsson Research, will form part of Business Area Emerging Business. Effective February 1, 2018 current Group Function Marketing & Communications and Group Function Sustainability & Public Affairs will be merged into a new Group Function Marketing & Corporate Relations, headed by Helena Norrman, currently head of Group Function Marketing & Communications. This new group function team will continue to develop the sustainability and corporate responsibility strategic model and secure follow-up and reporting, while responsibility for setting the goals and delivery against targets, will reside in the business area or in units with closest responsibility. “With these changes we are both simplifying our structure and increasing focus on innovation and new business with the creation of Business Area Emerging Business. I am very happy to welcome Åsa Tamsons to the team. She brings deep expertise in telecoms, business development and digital transformation. With these changes we will also increase focus on sustainability and corporate responsibility in each business area and market area, making the unit heads fully accountable for their respective areas”, says Börje Ekholm, President & CEO of Ericsson. “I am excited to work together with a great team to drive the next wave of growth and new business for Ericsson. With the company’s strong capabilities in 5G, IoT and other emerging technologies, I see a big potential to bring innovation and new solutions to existing and new customers,” says Åsa Tamsons. Business Area Digital Services is undergoing significant transformation to create a profitable and strong offering in this strategically important area. Ulf Ewaldsson has decided to step down from leading the unit, following the completion of its build up phase, and assume the role as advisor to the CEO. “I am very grateful for having had the opportunity to start up Digital Services, put an organization in place, create a strategy and a vision for the unit as well as putting a working structure in place. During a very challenging year we have taken important steps to create stability and quality in our products and roadmaps,” says Ulf Ewaldsson. Ulf Ewaldsson, currently head of Business Area Digital Services, and Elaine Weidman, currently head of Group Function Sustainability & Public Affairs, will leave the Executive Team effective February 1, 2018. Jan Karlsson, currently head of Solution Area BSS, will step in as acting head of Business Area Digital Services. Ulf Ewaldsson will take on a role as advisor to CEO Börje Ekholm. In light of the change in responsibilities Elaine Weidman-Grunewald has decided to leave the company to pursue other opportunities. “I want to thank Ulf and Elaine for their contributions to the Executive Team and to Ericsson. They have both been instrumental in shaping our strategies and have built important relationships with customers and other stakeholders to the company “, says Börje Ekholm, President & CEO of Ericsson. The new Business Area Emerging Business will be reported under Segment Other.